On June 30th [… an] activist there that day was later arrested in September, accused of damaging property, threat and assault at the gate, and causinginjury. In order to gain more evidence, the police searched Kaneko’s home, despite he having no relation to the man arrested, and seized all of his computer equipment, cameras, and memory cards. His property was still un-returned on November 5th when his supporters began pressuring the authorities to return Kaneko’s equipment, which they stated they would on November 8th. Fukui Prefecture is home to Japan’s only operating nuclear power plant. Via Global Voices: Below is a recent video filmed by Yuzuru Kaneko on Friday, November 9. It captures the ‘no-nuke’ demonstration in front of Kansai Electric Power Co., Inc (KEPCO), where protesters asked employees of KEPCO to cease nuclear power generation activities at the power plant. IAEA : Cernavoda is a successful nuclear project – True or false? There is a suspicious switch off on the monitor for the day before..
A group of 13,000 people across Japan on Thursday filed a criminal complaint against 33 senior officials of Tokyo Electric Power Co. and the government’s now-defunct Nuclear Safety Commission over the nuclear disaster at the company’s Fukushima Daiichi power plant following the March 11, 2011 earthquake and tsunami. In the letter of complaint filed with prosecutors, the complainants asked that the accused be investigated and indicted on suspicion of professional negligence resulting in deaths and injuries. The complaint was the second in a series by the group, following one made in June by 1,300 people mainly from Fukushima Prefecture. Japan still has lessons to learn from Fukushima if it is to convince the public about nuclear energy. The nuclear disaster that followed the March 2011 tsunami in Japan uncovered serious flaws in the country’s nuclear-safety regulations. Japan learned its lesson: it started putting a premium on safety, and is doing everything it can to assure a wary public that similar mistakes will not be made again. Well, that was the hope. Two recent revelations show that it could still do much more. The country’s Nuclear Regulation Authority (NRA) was set up to right the wrongs of the previous regulatory infrastructure. One of its first tasks was to draw up new safety standards for reactor operations. The NRA formed an investigation team of six experts, which held its first meeting on 25 October. The team is expected to submit its report in time for the NRA to put the standards up for public comment in the spring and to make them law in July 2013. Last week, Japanese media reported that four of those experts have received regular stipends or one-time grants from the nuclear industry. Nuclear engineer Akio Yamamoto of Nagoya University, for example, has received at least ¥50,000 (US$630) over the past three years from each of three companies related to nuclear energy, including Nuclear Engineering, a firm in Osaka that is affiliated with Kansai Electric Power. Although there is no suggestion that Yamamoto has done anything wrong, he also received some ¥27 million in grants from eight nuclear-energy companies during that period, as well as an undisclosed amount from Mitsubishi Heavy Industries, which builds reactors. Japan. Huge sea wall being erected around biggest nuclear plant, Kashiwazaki-Kariwa. Fish off Fukushima showing high levels. USA right wing pressuring Japan to keep nuclear power. Continuing battle with radiation. Fukushima nuclear plant: Worsening worker conditions. Tons of radioactive water lying around. Tokyo anti nuclear protest continue,but minimised by mainstream media. UK. Continuing angst over who will pay for ever more expensive new nuclear plan. USA. Congress to grapple with intractable problem of nuclear waste, or more likely, to put it in the too hard basket. High rates of systemic lupus erythematosus have been linked to living in proximity to a former uranium ore processing facility in Ohio. South Korea’s nuclear export plans threatened, as nuclear scandals revealed forged safety documents. France. 12 organisations join to help Niger, in its disastrous environmental legacy from AREVA’s uranum mining there. Pakistan. “Nuclear rogue” A Q Khan enters politics. Will a Lame Duck Congress Confront Nuclear Waste? NYT, By MATTHEW L. WALD , 12 Nov 12, When Congress returns to Washington on Tuesday, it has a very long “to do” list. One item, probably not near the top, is figuring out what to do with nuclear waste, given that President Obama killed a proposed repository in Nevada in March 2010. This summer, a blue-ribbon commission advised that the process of seeking a storage site be restarted. Nevada Opposition to Yucca Mountain Strong as Ever http://www.ktvn.com/story/20074747/nevada-opposition-to-yucca-mountain-strong-as-ever Nov 12, 2012 A state official says last week’s elections did nothing to change Nevada’s staunch opposition to southern Nevada becoming home of a high-level nuclear waste dump for the nation. Nevada Agency for Nuclear Projects Executive Director Bob Halstead says President Barack Obama’s re-election and Democratic gains that strengthened Senate Majority Leader Harry Reid’s position have eased fears the Yucca Mountain project could be resurrected. He told the Las Vegas Review-Journal (http://bit.ly/TAnWD0 ) there were no changes in the state’s congressional delegation or in the Legislature that sent a message that the state’s opposition is weakening. The Obama administration and Reid were instrumental in shutting down the Nevada nuclear waste repository site beginning in 2009. Drones: The New Nuclear Arms Race? (VIDEO) Everyone’s got a drone, or so it seems, HUFFINGTON POST, Ahmed Shihab-Eldin, 14 Nov 12 It wasn’t long ago that the US had a monopoly on drones, but that is no longer the case. In fact, Israel – not the U.S. – is reportedly the world’s largest exporter of drones , selling Unmanned Aerial Vehicles and the technology to build them to Nigeria, Russia, Mexico, and most recently to Azerbaijan as part of a $1.6-billion arms deal involving dozens of drones. Persistently high radioactivity in some fish caught close to the Fukushima nuclear plant has sparked a government investigation into the physiological basis for contamination and why radiation readings in some specimens remain hundreds of times over the official safe limit. […] The overall trend has been a decline in detected amounts of radioactive cesium. However, in August, two greenlings caught 20 kilometers north of the Fukushima plant were found to have cesium levels of 25,800 becquerels per kilogram, the highest level ever measured in fish since the nuclear accident. The government standard for food is 100 becquerels per kilogram. The IEA says energy demand out to 2035 could be halved through energy efficiency measures – in the building sector, including appliances, the transport sector and the industry sector. This would require an estimated $US11.8 trillion investment, but this would be more than offset by an $18 trillion reduction in fuel costs. How energy efficiency and renewables can save the planet http://reneweconomy.com.au/2012/how-energy-efficiency-and-renewables-can-save-the-planet-44897 By Giles Parkinson , 13 November 2012 The International Energy Agency has raised hopes that time can be bought for the world to finally get its act together on climate change – as long as it implements a rapid uptake of energy efficiency measures. 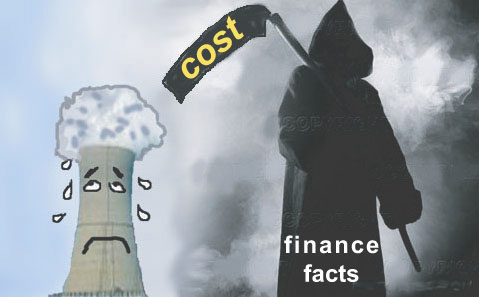 Nuclear power risk http://main.omanobserver.om/node/127641 , 13 November 2012 By John McGarrity – Britain’s nuclear power generation future may be at risk as the list of potential operators shrinks due to concerns about the high costs of entry. Water scarcity could drive push towards wind and solar REneweconomy By Giles Parkinson 14 November 2012 In 2010, more water – 583 billion cubic metres – than is discharged each year by the mighty Ganges River in India was used to meet the world’s growing energy needs. Spent nuclear fuel from USS Enterprise is Idaho-bound The Spokesman Review, by Betsy Nov. 12, 2012 Spent nuclear fuel from the nuclear-powered aircraft carrier USS Enterprise will be sent to eastern Idaho for study and storage, the Idaho Falls Post Register reports. The Enterprise, the world’s first nuclear-powered aircraft carrier, is being decommissioned after participating in every major conflict with the Cuban Missile Crisis in 1962. Its spent nuclear fuel is expected to arrive in Idaho in 2015……. Dougan said the spent nuclear fuel once in Idaho will be examined to help with future reactor design research before being placed in storage. The Navy will officially deactivate the Enterprise on Dec. 1, but it will take several more years for it to be decommissioned as its reactors are taken out. After spent fuel is removed at Norfolk, the Navy plans to tow the Enterprise to the Puget Sound Naval Shipyard at Bremerton in Washington state. The nuclear reactors will be cut out of the ship and barged to the Hanford nuclear reservation. The reactors will be buried in a trench the Navy has been using since 1986 to bury radioactive reactors from other nuclear-powered vessels, mostly submarines. enable it to move towards an integrated system. Facing risk is more important than having access to energy. In Japan (the country that is highly developed in the region), the disaster crossed geographical boundaries despite accurate planning and intensive preparations. Where are we?